The Equi-Venture Farm Team - Larry Ellerman, Hunter Holloway, Michael Henaghan and Brandie Holloway with U25 winner, VDL Bravo S, owned by Hays Investment Corp. and Virginia Bartholomay. Topeka, KS – June 9, 2016 – Equi-Venture Farm and the Holloways welcome Michael Henaghan to the successful mother – daughter team out of Topeka, KS. Henaghan brings to the mix over 50 years of experience teaching and training, adding his expertise to the string of quality horses combined with the talent of riders Brandie and Hunter Holloway. The new team is showing clear results right out of the starting gate, with the win in the $75,000 Tryon Grand Prix, the U25 Grand Prix, the Welcome Stake, Junior Hunter Championships, the Junior Jumper Championship and multiple medals wins, all during week 6 of the Tryon Spring Show. 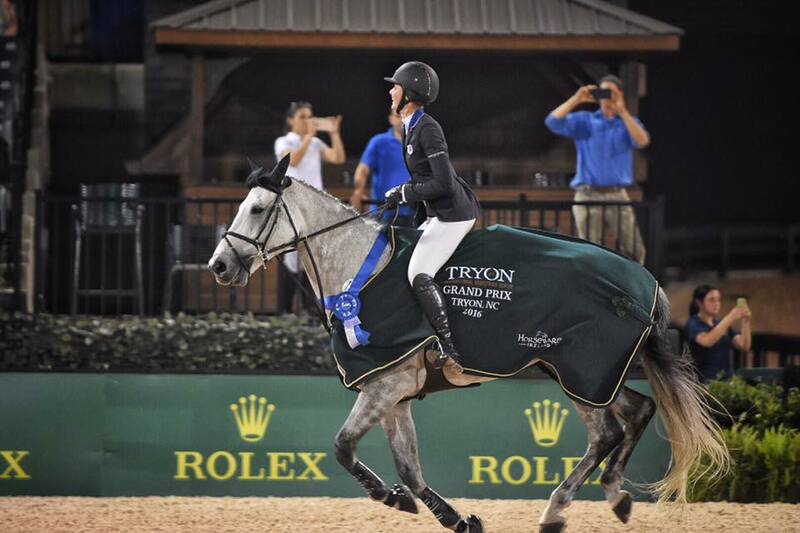 Hunter Holloway and Cassevel won the $75,000 Tryon Grand Prix during Week 6. Mother-daughter team, Hunter and Brandie Holloway. Photo Chicago Equestrian/M4E. Henaghan is a native of Trumbull, Connecticut and trained with Victor Hugo-Vidal as a young rider. He trained grand prix rider Allison Firestone and he trained Elise Haas to the win in the USET Medal Finals and the ASPCA Maclay Regional Finals in her last junior year. Henaghan trained Ray Texel, the youngest rider to win both the ASPCA Maclay and the AHSA (now the USEF/Pessoa) Medal Finals in the same year. Henaghan is a popular clinician, traveling the country to educate and teach riders, always with a smile and a sense of humor. “Its easy to have a great program with great horses and great riders,” added Henaghan about the Holloways. 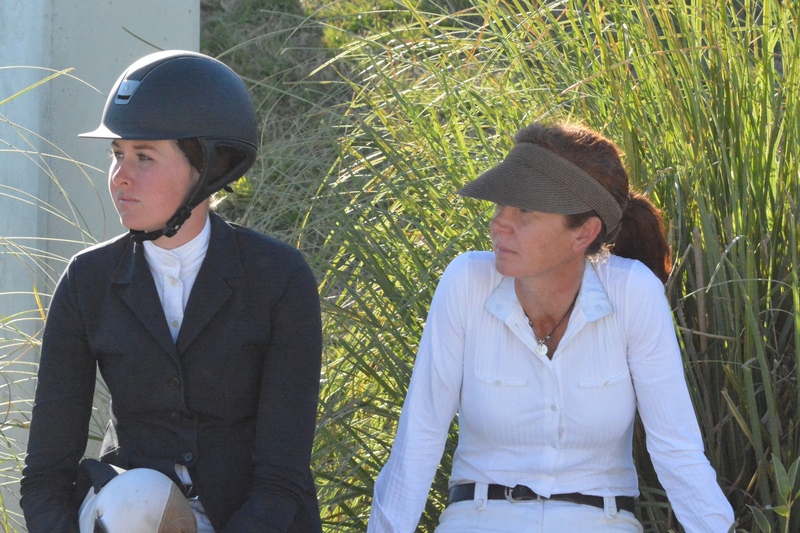 Another key factor of the program to Brandie is developing work ethic in the younger riders. She believes not only is the riding important, but the work back in the barn is equally important. Both Brandie and Hunter grew up in the barn, spending countless hours with their horses building horsemanship skills that are evident in their success. “Mike adds that and embraces the level of care we have, adding his perspective which we incorporate,” said Brandie. Entourage and Hunter Holloway earned the blue in the USHJA $10,000 National Hunter Derby at Tryon. Equi-Venture Farm is successful in every ring from hunters and equitation on up to the grand prixs. Their show string of champions includes sale horses, home bred and raised horses, young jumpers and seasoned winners for every division. 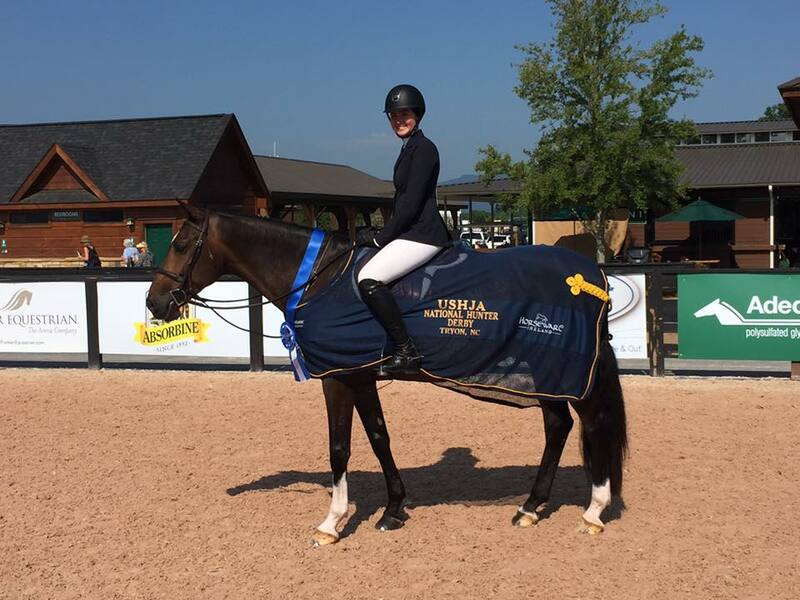 Hays Investments owns successful grand prix horses VDL Bravo S, Cassevel, Any Given Sunday and Lucky Strike, which are climbing the earnings rankings with the Holloways in the irons. With the large number of horses Equi-Venture takes on the road, Henaghan’s experience will be helpful to the team as they juggle training programs and show schedules of their diversified stock. Their plans for the season consist of concentrating on FEI classes and medal finals with long-range goals of competing on a U.S. team. They will head to Parker, Colorado in July, then on to Saugerties, St. Louis for the Regional Maclay Finals and finish the season with the indoor finals.